Your trusted value fashion retailer. Max dominates value fashion and apparel in the Middle East and India. Max is the Landmark Group’s leading value fashion brand offering clothing, accessories and footwear for the entire family. Launched in 2004, the brand is known for ‘Everyday Fashion’ and its ability to offer discerning shoppers a vast range of choices at affordable prices, international styling and great quality. Max strives to bring its customers value fashion which is designed in-house and manufactured to stringent quality standards. Enjoy shopping great products from our leading brands at MaxFashion.com. 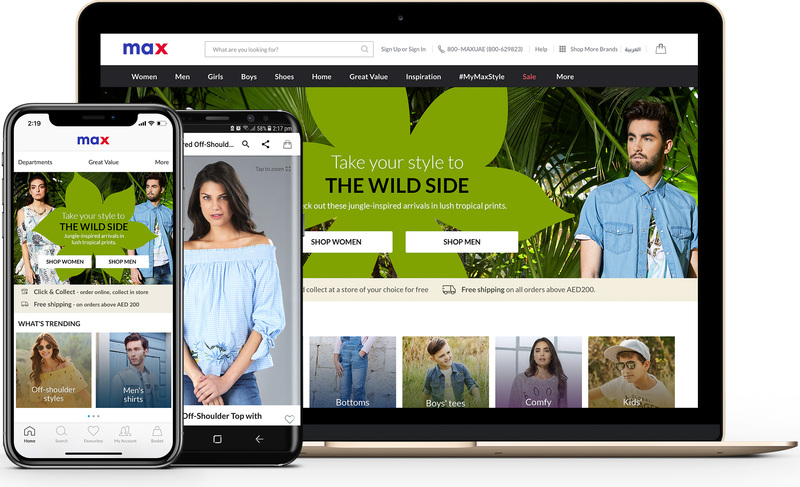 With industry-leading features like Cash on Delivery, Favourites and 1-click shopping with FastPay, our site makes shopping easier and more convenient.